I'm back with a second post today. 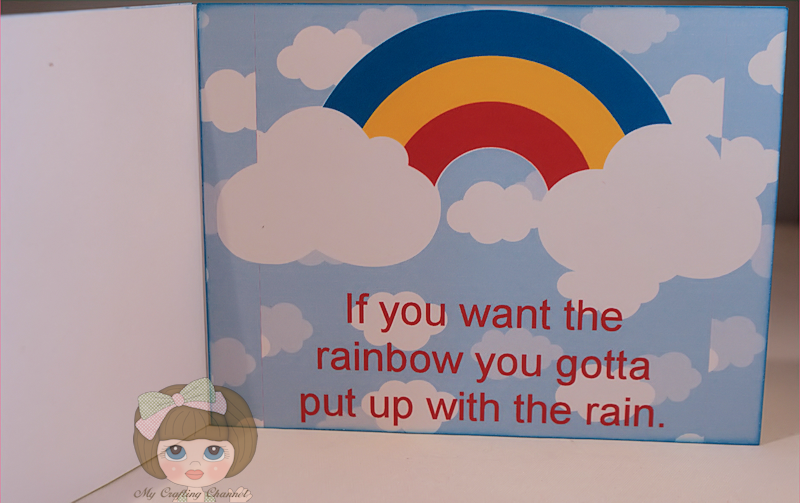 I have for you this cute card. reminds me of my grandson. I created the scene the popped up the 2 darker clouds, little boy and dog. The bird is attached to the fence with a zot. Added Glossy Accents to the rain drop. I place the sentiment on the inside. OMG! How adaorable!! So bright and pretty! I love it Nana!! Oh, Nana, this card is so sweet, cute and adorable!!! I hope you showed it to your grandson and told him it reminds you of him -- he'd probably get a big kick out of that!!! 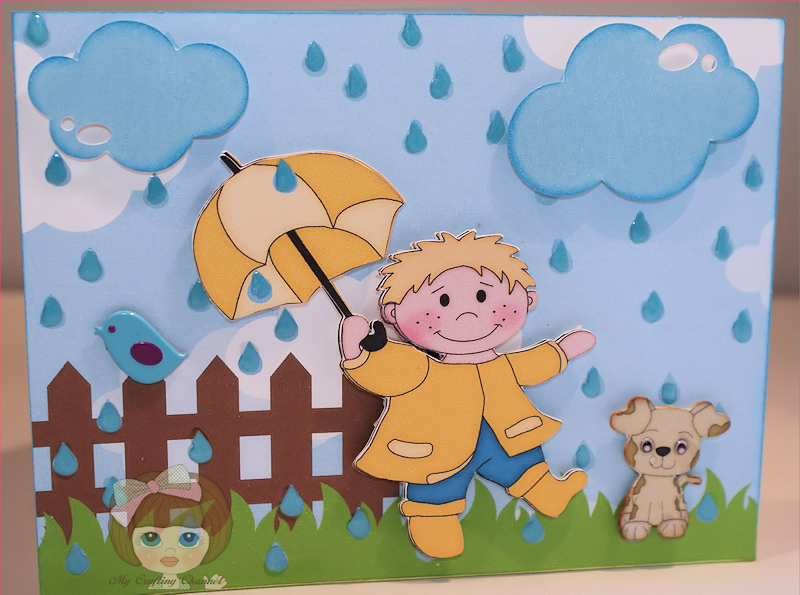 Fabulous Nana, I like the sweet scene you created that little lad looks like he is really enjoying the rain. What a sweet,sweet card! Love the bright, colorful images and that sentiment is so true - love it! TFS Nana - enjoy your wonderful Monday! The card scene is FABULOUS! !Just noticed that bird....a brad?..Very CUTE!Doggy is adorable and LOVE how the raindrops appear! !Love it! The inside is as AMAZING as the Outside! !AWESOME job my friend! What a fun card. Loving all these cute cards you are doing lately. Ooh so cheerful and beautiful it looks. Love the raindrops falling and the cheerful boy! So cheery and fun for this season. This is so cute!! I love the sentiment! Such a cute card both inside and out! Aaaw, what a sweet card! The scene is so awesome:) TFS! Thaanks so much for joining us at LSP! Such a cute card!! I love all your raindrops!! This is such a cheerful card and how true is that sentiment. Oh my goodness what a fun card inside and out.